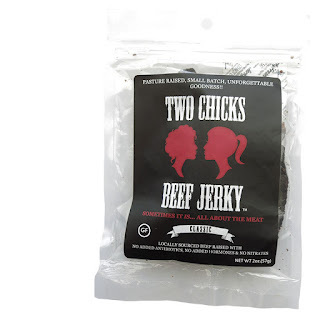 Two Chicks Beef Jerky is a brand of Two Chicks Specialty Goods, LLC, based out of San Rafael, CA. 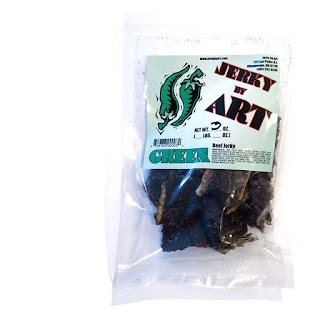 It was started by two women, Shannon and Breelyn, who embarked on a 4 1/2 month long road trip back in 2012, and stocked themselves up on homemade jerky. 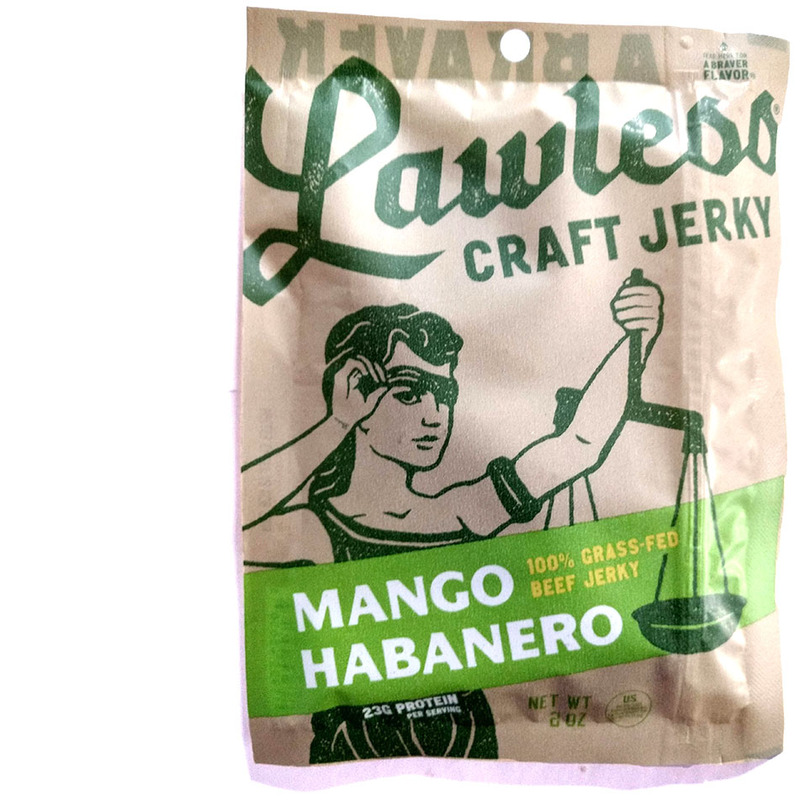 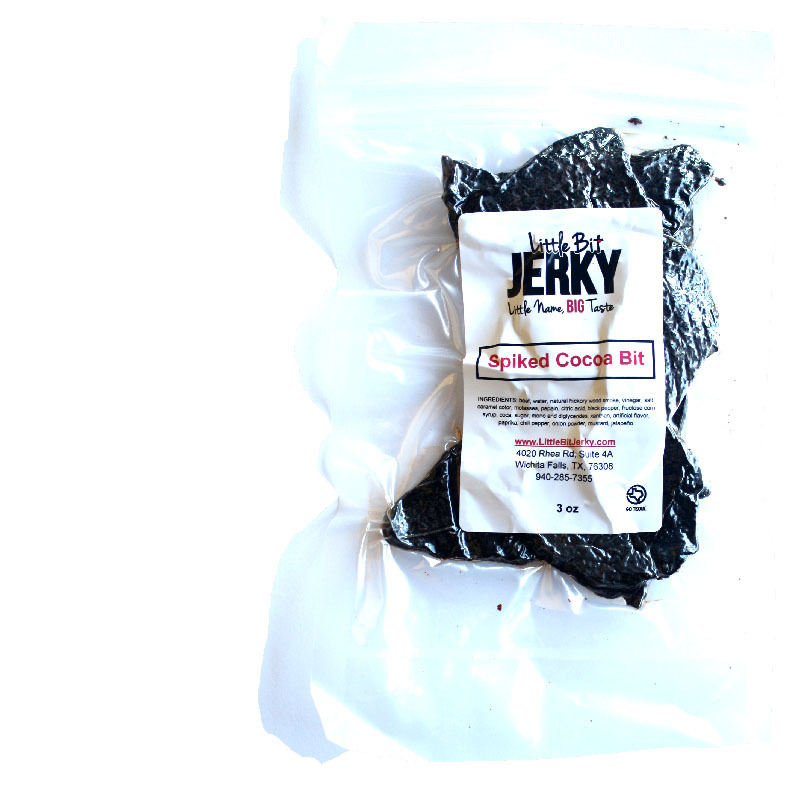 Along the way, people they met tried their jerky and liked it enough to recommend they start a business. 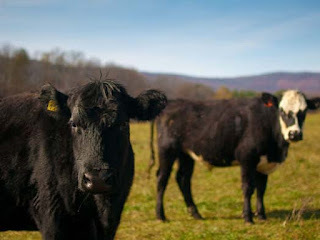 So when they returned home, they did just that. 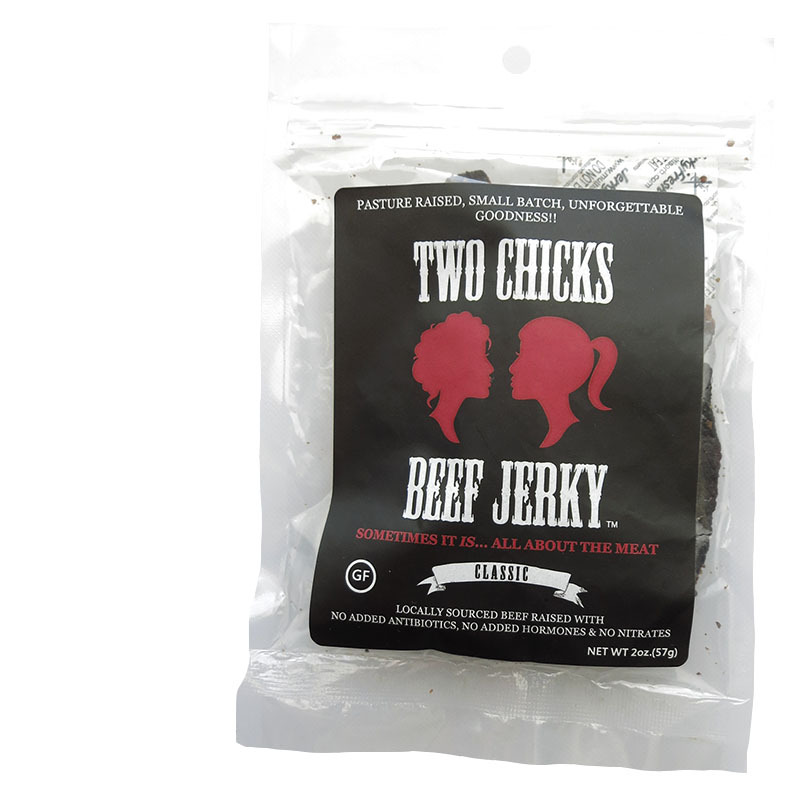 Two Chicks Beef Jerky has now been in operation a little over a year now, and is now carried in over 20 retail locations in Northern California. 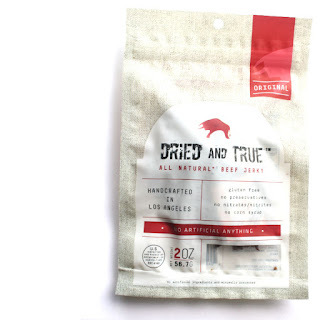 The company claims, "Sometimes it is... all about the meat", referencing their reliance on grass-fed meat, locally sourced, with no preservatives, antibiotics, or added hormones. It's also marketed as gluten-free, and uses honey instead of refined sugar.